This talk is about how Ansible and Foreman integrate with one another, providing end-to-end automation for the enterprise. Ansible integrates with Foreman, allowing organizations to run playbooks against the hierarchy and groups of servers defined in Foreman. Additionally, AWX can dynamically update its inventories with hosts and their updated facts from Foreman at anytime. Foreman provides the most important reporting basics for Ansible – so you have all the important information from orchestration and configuration management at a glance in a web interface, which means a clear work relief in everyday life. Nikhil is Quality Engineer at Red Hat. He is a Pythonist, open source enthusiast and an upstream contributor. 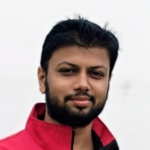 He contributes mostly to the testing of foreman project, develop testing frameworks, manage CI/CD as day job and is the organizer of Foreman Pune Meetups.